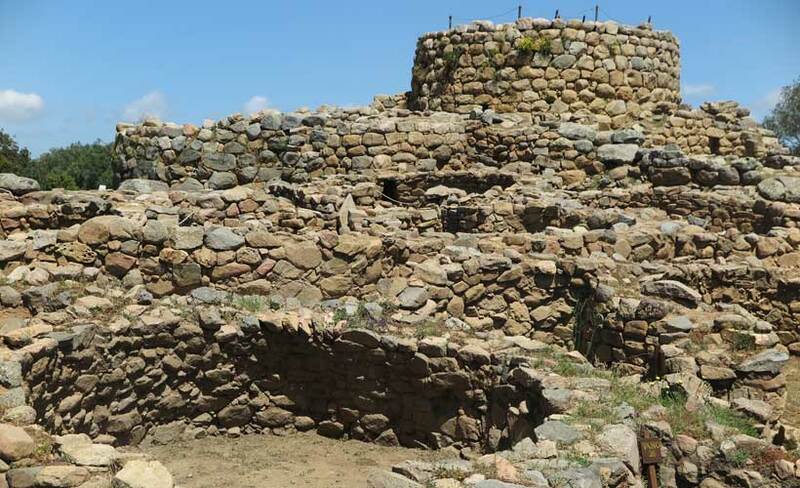 No one can visit Sardinia without becoming aware of the island’s ancient Nuraghes, built between 1500-1200 BC. 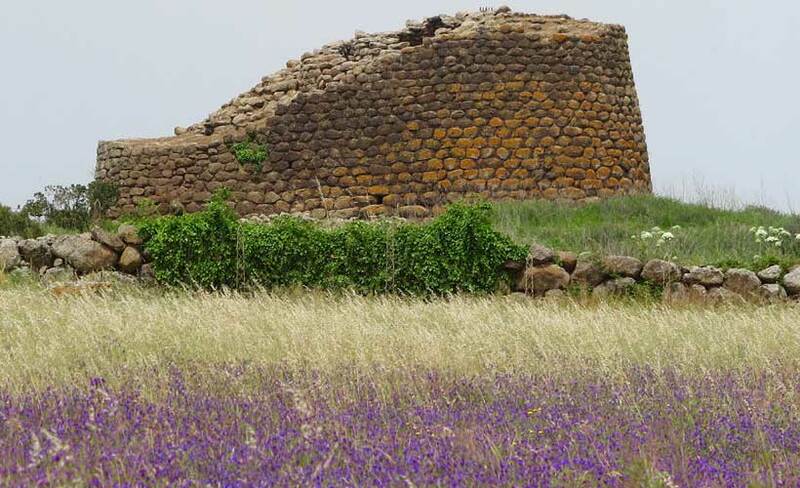 They are Bronze Age circular towers built with local rock without mortar of any form. 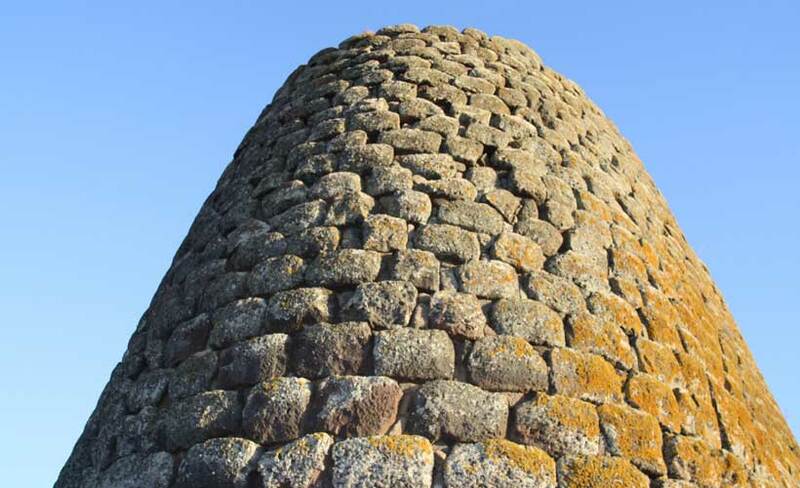 We visited the Nuraghe Losa which contains a tall inner chamber that tapers like the bee hive tombs in ancient Greece. Originally it would have had a second chamber above it, and a terrace circling the top of the tower. Unfortunately local builders over the centuries have used Nuraghes as a quarry. What survived was buried in soil and bushes. 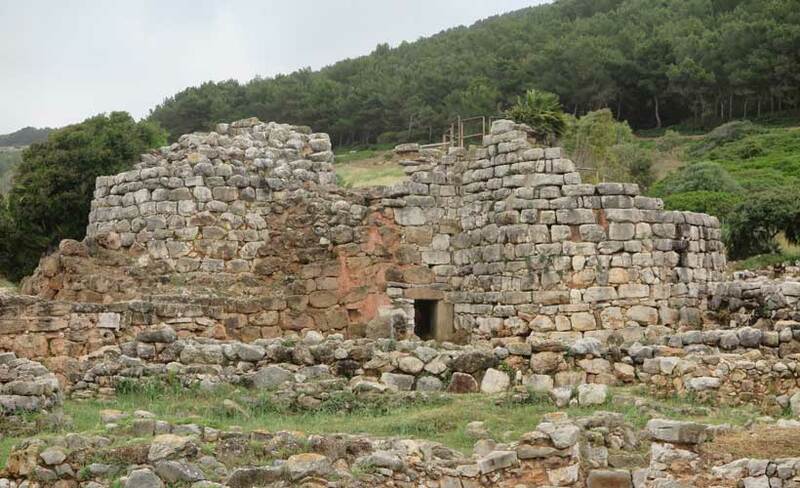 These mounds are slowly being excavated, with an estimated 7,000 Nuraghes in Sardinia. The larger Nuraghes had secondary towers and were surrounded by the circular foundations of huts. The bigger complexes look rather like ancient castles. Where you have villages you also have cemeteries. 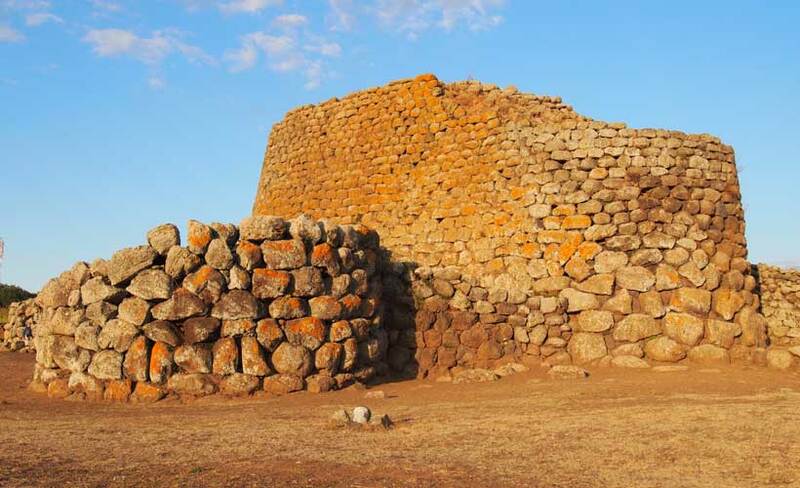 In the case the Nuragic people they had communal burials once thought to be Giants’ Tombs because of their length. Some speculate that the tombs were built on sites of special power designed to improve well-being. Although one could be sceptical about how such powers could assist the well-being of the dead. I have to admit that my lower back felt considerably more flexible after about ten minutes propping up the stone at the false entrance to the tomb. 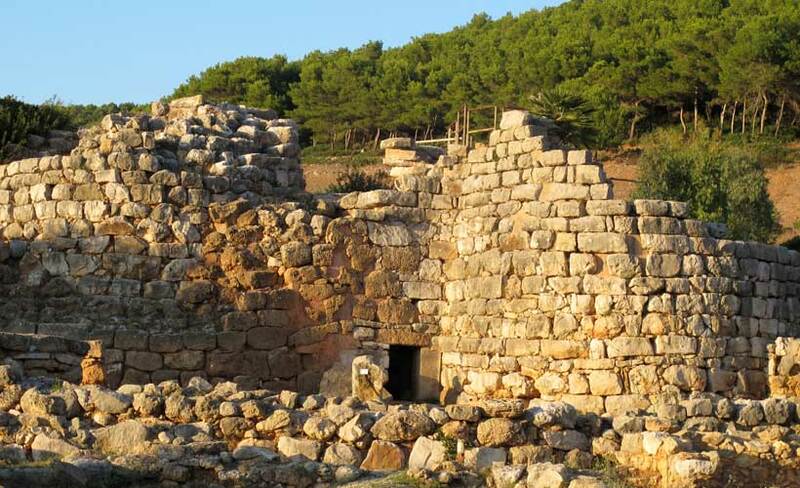 Why not take advantage of our of our small group tours to Sardinia including Corsica and Malta. Click here for details.